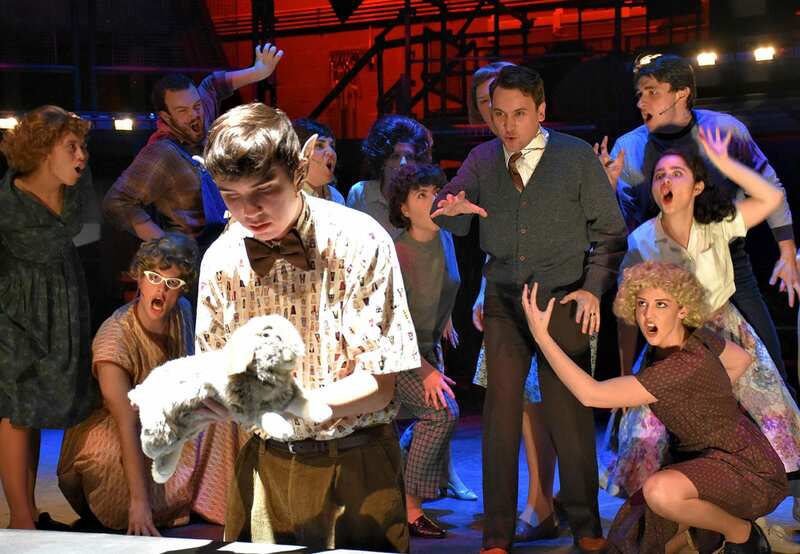 Daniel Jameson ’21, right center, seen performing in PC’s “Bat Boy: The Musical,” advanced to the national competition of the Kennedy Center American College Theatre Festival following the recent Region I festival. 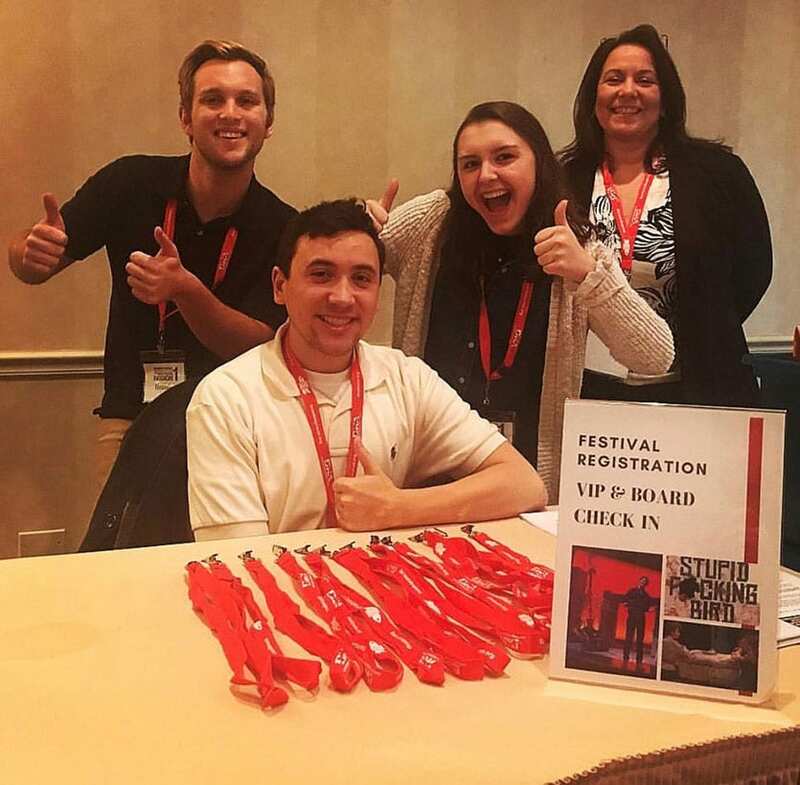 More than a dozen Providence College students were recognized in the Region I Kennedy Center American College Theatre Festival at Cape Cod Community College in Hyannis, Mass. The region — one of five in the country — encompasses all of New England and New York. Emily Clark ’19, standing at center, and Teddy Kiritsy ’19, seated, earned multiple honors at the regional festival. Taking top individual honors was Daniel Jameson ’21 (Schenectady, N.Y.), the winner of the Open Jar Music Theatre Award and Scholarship. He will advance to the Kennedy Center American College Theatre Festival National Competition in Washington, D.C., in April. Jameson also was a finalist in the regional festival’s Richard Maltby Jr. Musical Theatre Competition. Also singled out was Emily Clark ’19 (Weston, Conn.), who received a Special Excellence in Arts Administration award. Cast members from the College’s production of Bat Boy: The Musical had the distinction of being chosen to perform scenes from the musical during the festival. PC was one of just nine schools selected from among 70 schools that submitted consideration for invited scenes. In addition, Clark and Kiritsy were chosen Arts Administration Nominees, and Gabby DeParis ’18 (Ridgewood, N.J.) and Dolan were selected as Stage Management Nominees. DeParis was chosen for her work in The Moors, and Dolan was nominated for Hamlet and Bat Boy: The Musical.